What the Heck is a Leasehold Property? A leasehold property means that the owner owns the house/townhouse/condo itself but not the land it is built on. That land is leased to the home owner by the land owner. Leasehold land is basically a plot of land that has been rented out to a developer, who then builds on the land and rents the property for a certain sum of money (or a portion of it as with an apartment building or condo). The leases on the plots of land are typically for extended periods of time (think up to 100 years or more), very often pre-paid up front (see section below), and often belong to either the City, or in many cases a corporation, a University or are First Nations Reserve lands. 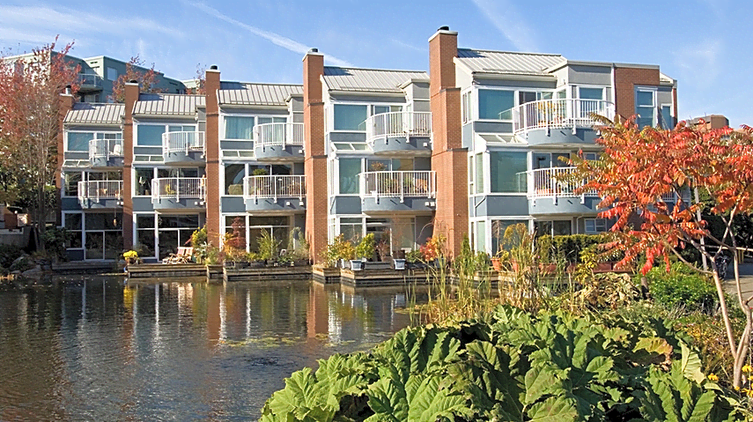 The land on south False Creek close to Granville Island, for example, as well as in south-east Vancouver along the Fraser River, are leaseholds owned by the City of Vancouver, whereas various corporations own much of the leasehold land in Vancouver’s West End. How Long Can I Own a Leasehold Property? If you decide to buy a leasehold property, you are essentially purchasing the right to possess that property until the end of the lease, or until you sell it to someone else – whichever comes first. If the lease expires and you are still in the home, you will have to renegotiate your terms for leasing the land your home is standing on – often at considerable expense. Or, in instances where the property was passed down from one person to another (throughout a family from parent to child say) and the lease is about to expire, whomever is the current owner would have to renegotiate. With a leasehold property it is extremely important to find out these details before you make a purchase. All leasehold land will have a lease agreement outlining details such as the terms of the lease, and what happens at the end of the lease. If you own property on non-pre-paid leasehold land (ie, you are making monthly lease payments), the lease agreement will also tell you whether the owner can raise your lease payments and, if so, at what intervals of time. Can I Get a Mortgage on a Leasehold Property? Unfortunately there is no easy answer to this question. Generally speaking, however, leaseholds are more challenging. To begin with, most lenders will not approve a mortgage for a term or an amortization that is longer than the lease itself, which, depending on the lease’s expiration date can be problematic. Any time the property is not a freehold strata there will be limits, but if you are interested in a City of Vancouver leasehold, some lenders will be more open to the possibility. Your options will be reduced for a First Nations reserve leasehold, and private leaseholds are the most challenging. In many cases the only option may be a private lender but even that is not a guarantee. When looking for mortgage on a leasehold property, the lender will look at everything: income, credit score, down payment, and of course the property itself. Recent clients of mine, a young couple from Vancouver, just purchased a 1,200 square foot town-home in east Vancouver for $490,000. Their lease is a little over 60 years; but they were extremely happy with their choice. It is in a gentrifying neighbourhood with lots of amenities, and they were able to obtain a mortgage through a big bank with getting their best rate. Also, because leasehold land is much cheaper than freehold land for similar properties, they would not have been able to find anything similar at that same price point. If you choose a leasehold property, you will be limited as to the lenders and mortgage rates. But to put things into perspective, as with any home that you buy there will be lenders that like it and lenders that won’t.